A wandering mind is a dangerous thing, especially when looking for a white creature in white snow. Just imagine a prairie pelican or a prairie penguin half hidden between the snow banks. Could it happen? Does it make any more sense than a snowy owl being there? The sun, on this beautiful day, is beyond bright – pupil-shrinking, exploding white. I’m wearing polarized sunglasses, that look like welding glasses, and all they do is make the scene beautiful. I squint out the window of my truck for many hours but all I see are gentle waves of sparkling snow flowing out to an unobstructed horizon. It’s had to believe wildlife lives here – but for a fluke of geography and a few grid roads, this is Antarctica. The penguins are missing out on a great place! I keep driving, convincing myself that one of these lumps of snow might magically turn into a snowy owl – a creature endowed with such a perfect white camouflage that it regularly deceives photographers. It forces me to keep looking at every snowy bump just in case. On this day the irregular snow shapes have no pulse. The allure is that I know they are out there … somewhere. Inevitably the predictably white landscape steals my unwavering focus and my mind wanders. Suddenly I’m in panic mode, jamming the brakes. Too hard and too late! My truck skids on some icy patches, alarming a snowy owl parked a few feet off the road. My heart sinks as I see those gorgeous wings open up to launch into flight. I watch helplessly, through a weather-beaten windshield, as my only opportunity for the day flies off into the distance. The worst part is it’s all my fault. I let those crazy penguins distract me again. Prairie penguin? I think it makes more sense than American white pelican don’t you? I keep driving and looking but can’t get my mind to focus or rest. In between lecturing myself for missing my chance, the snow seduces me into more wildlife-induced trances. I remember that pelicans are mostly white – they could hide pretty well in the snow as long as they could stick those big noses under a wing. Brilliant! With only a little imagination they could be prairie penguins. I like it! The white descriptor is rather superfluous in a place where that’s the only kind. Pelican, like hockey, needs no adjective. Real hockey fans here cringe at the oddity and redundancy of the term ‘ice hockey.’ Of course it’s on ice. If you want to mess with our game, it should be your responsibility to come up with a way to distinguish it! As for American, some might argue the term refers to the continent. I don’t. Canadians have few things in common other than that we generally agree we’re not Americans – living next door to an elephant will do that. Some Canadians carry that all the way to dislike though I’ve been fascinated with Americans on too many levels to get distracted with unfair generalizations. Back to my point, adding American to other nouns like food or culture quickly eliminates Canada – and that’s how it feels about the pelican. We need a less country-centric name for our pelicans. So once those beautiful white birds join us on the prairies in summer, I think we should call them prairie penguins just to cut down on the confusion. Besides it’s mostly about the alliteration anyway! Hmm, I think I could make that into a blog post. Now what was I looking for again? Focus Lyle! Now just imagine if the water were snow and ice, wouldn’t that look lovely? I’m sure they could master ice fishing if humans can. They are used to the boredom of standing around and rarely catching anything. Hmmm, all this time I thought they were Texas Pelicans. Beautiful incoming shot! Thx. Hey if you find them, you get to call them whatever you want! Sort of like house rules. Oh no!! Those wacky prairie penguins are at it again?! Be careful around those guys and always remember to keep an eye out for flying woodchucks. I will keep a look out! You always have such good advice. 1. Although I’m American, I can relate. As an Oklahoman, we feel the same way about Texas as many Canadians feel about us. Maybe we should start a support group? The Ukraine, Ireland and Portugal may want to join. 2. I had no idea that pelicans migrated to Canada in the summer. Your blog is very educational. I think it absolutely deserves a support group. Who knows who would all join! We sure appreciate all the beautiful birds that visit us. You would have laughed at me peering at the snow scene to discern the Snowy. Great shots, Lyle. I know I I have generated a few chuckles from people. One of the many good reasons I prefer to be on my own with the critters. I had to chuckle at the statement “convincing myself that one of these lumps of snow might magically turn into a snowy owl”… I cannot count the number of hours that I’ve waiting fully expecting an elk, buck or some wildlife coming to enjoy the scene I have in front of me. While I may not get the shot I dreamt of, I never walk away disappointed. The opening shot of the pristine snow field is a good example of why. And then of course the “prairie penguins” a shot that makes the day even better…and at least for today this American (USA type of American) will be good with this new name. Cheers! Well if I’ve got you on my side then I think we are good to go! I’ve been surprised quite a few times when I’m looking at a scene when all of a sudden my mind connects the dots and sees the creature or a branch moves. That’s a lot more fun than staring down immobile objects. So I keep trying. Glad to hear about the chuckle. Perfect. Perfect Prairie Penguins. I’ve been mis-speaking and calling pelicans penguins for a while now, and thought it was just another example of creeping senioritis. But now I see that my subconscious had a plan all along! Cool. Excellent. You never want to underestimate the power of your subconscious. Who knows what genius lies there? Thrilling to see these shots Lyle. Thanks so much. I was quite excited when I got that one flying toward me! Yeah, that sounds good, Lyle. While we are at it, Canada Goose could stand an overhaul too. I don’t mind the name so much, but it would save folks the embarrassment of discovering that they are not Canadian Geese. I’m with you all the way. It turns out those birds have no respect for borders so we should just recognize that and move on! Those pesky pelican shots are stunning, Lyle. Now, when are you going back for the snowy owl? It always helps to have a good-looking, co-operative subject! I was back out looking for snowy owls today and saw nothing – disappointed again. There were probably dozens of them all around you hiding in the snow. I have no doubt of that!! Prairie Pelicans indeed! Would they find enough water to do their fish scooping act out there? Seriously??? Well there’s always a few details to iron out! Hence the reference to ice fishing but I watched a car drive over the ice on a river today so that might be a bit of a problem. Cute name and nice pelican shots. I did not realize you had pelicans there. Are they there in winter? As for your differences between Canadians and Americans, since I live on the border and walk to Canada quite often, I don’t see us different at all. It is funny too because being originally from Pennsylvania, those crazy New Yorkers still think my accent is Canadian. When I go to Seattle again, we are going to your neck of the woods and I will see if I think you westerners are different than us easterners. I will be looking for the prairie penguin too. The pelicans actually spend all summer on the river in the middle of our city then head to warmer climates for the winter. Happy prairie penguin searching – they are always fun to watch. Ha, ha. I knew very few of the Saskatchewan expressions, maybe “bee” because they have that the same in PA where I am from originally. Much different than the Ontarian way of speaking. Even in the US the northern midwest seems like another country to me, like the movie Fargo. My friend and I were going to “tour” Canada. I doubt we would get to the mid section though. Touring Canada sounds like fun. There are a lot of unique places to see. An extended tour of the U.S. Is still on my bucket list. Yes I was trying to console myself and it almost worked. Glad you liked them. 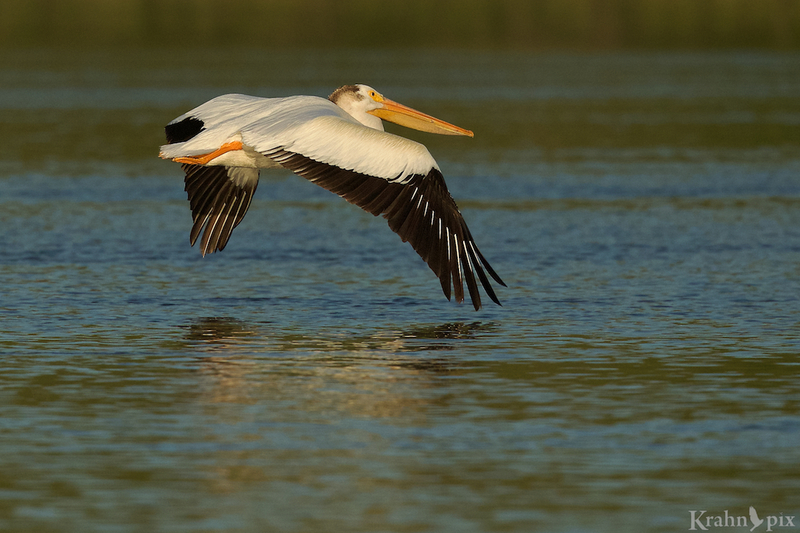 Love the term “prairie pelican”. 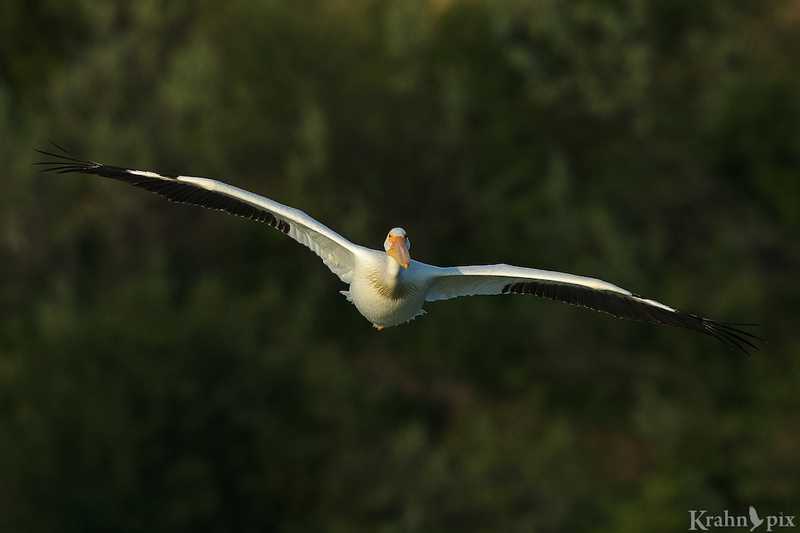 We have our own flock of them in summer – one of my favorite birds, especially when they are wheeling high above with the sun glinting off their wings. Could watch them for hours. People are always surprised when I tell them we have Pelicans in Wisconsin- imagine when I tell them they also summer much farther north! All right – another supporter for my name change! They are remarkable birds. I especially like the way they can soar so effortlessly, either high in the sky or just inches from the water. You never know what you might find when you look for prairie penguins but a snowy owl would be a treat. it always is for me. I love the way your mind works and the quirky narrative you have concocted for this posting and the crazy tangents on which you embark. The pelican shots are amazing and I like your suggestion on renaming them. Prairie penguins–it does kind of flow off of the tongue and I really like alliteration. I encourage you to creatively consider other creatures. Maybe the North American Beaver, that is Canadian in its Latin name Castor canadensis (a nice alliteration), is a choice candidate for consideration. Another alliteration adherent! Wonderful! It sounds like you and I could go through the creatures and concoct some wonderful names – your beaver suggestion is a vast improvement. To be honest, I’m not entirely sure how exactly my mind works half the time but it sure pulls me around for a ride. I’m glad you enjoyed the tangents. Thanks. There were polite enough to fly in convenient places for me!